University Of Florida Sued By Conservative Student Group. The suit alleges the University applies an arbitrary process which decides which student organizations are “budgeted” and “non-budgeted.” After a speech by New York Times bestselling conservative author Dinesh D’Souza, the University changed the rules and now does not allow “non-budgeted” student groups to receive funding to pay for the speaker. Over the last two years, UF YAF is the only non-budgeted student organization to request student activity funding to pay for a guest speakers’ honoraria. “University of Florida administrators are limiting YAF members’ First Amendment freedoms by forcing them to pay into a system that funds opposing viewpoints. Worse yet, the university forces YAF to play an arbitrary, complex game of Chutes and Ladders in the funding process, wherein the student group can continually be sent back to the beginning of the game at the sole discretion of the student government. The university also changed its rules to single out and disqualify the conservative group from receiving funding for speakers fees and honoraria—making it even more difficult for the group to express its viewpoint on campus,” said Alliance Defending Freedom Legal Counsel Blake Meadows. All UF students pay a $19.06 activity fee for every credit hour they take. That money is collected and then distributed by student government to hundreds of student-based organizations. The suit says that plaintiffs Weldon and Long have spent $1,829.76 and $1,658.22 in credit fees, respectively, during their time at UF. 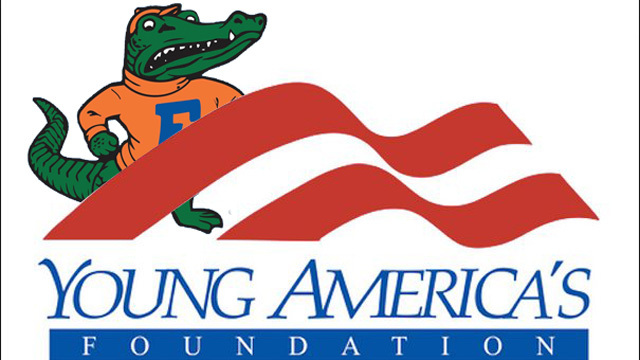 We somehow suspect that if the University was “open to all points of view,” the University of Florida chapter of the Young Americas Foundation would not be suing. They would be in the same “budgeted” category as other campus organizations that host speakers and events. This is not the Young Americas Foundation’s first First Amendment rodeo. The problem is that there are people and groups out there who wish to shut down any speaker with whom then disagree. Instead of allowing the speaker and expressing their objections, people want to shut down the “marketplace of ideas” that universities and colleges should support. The “heckler’s veto” is not something that is allowed by the First Amendment which means government and its institutions have to protect the rights of people and free speech. If Florida is not protecting those rights and effectively infringing upon those rights, they should have to face the consequences. Most schools, it’s the student government who hands out the money, and most of them are idiots. And often, they make up the rules as they go along.